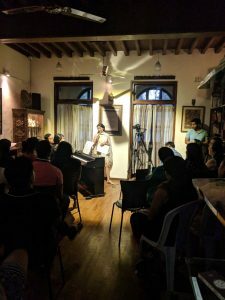 A special evening of classical piano entitled ‘A Reason for Being: a journey through the four ages of western classical music’, was hosted for the circle of Friends of New Acropolis at the Colaba Centre. 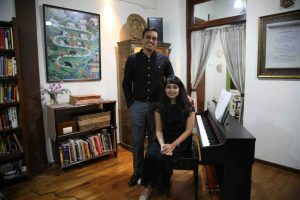 A delicately curated selection of music was played by Shivani Patel, a member of New Acropolis, together with her brother Vivek. This duo treated the audience to an selection of classical western piano, from each of the four ages including : Bach from the Age of Baroque, Beethoven and Mozart from the Classical Age, Brahms, Schubert & Strauss from the Romantic Age and the lesser known but haunting piece Nuvole Bianche by Ludovico Einaudi from the Modern Age.